Today Donna and I dive into her plans for a very special trip she’s taking. It involves the road, a milestone birthday, and a whole bunch of independent bookstores. 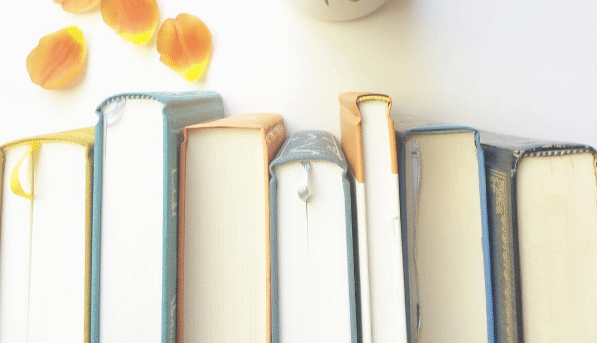 Donna’s bumped into a fair number of bookworm problems in the planning, and I think you’ll be commiserating with her as she tells you about them. Donna also had a special request when it came to helping her choose what to read next. 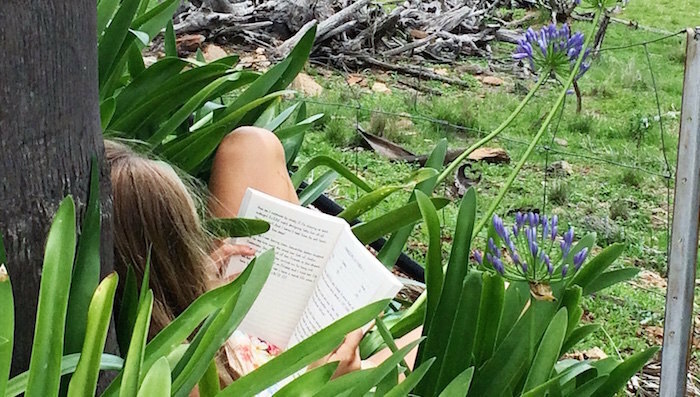 I was afraid choosing good books that met her criteria might be impossible, but we work it out—and I am very surprised by her reaction to some of my picks! I can’t wait for you to hear from Donna for yourself, so let’s get started. Check out Donna’s blog, I Am Your Rabbit, where she chats about entertainment, personal finance, health, and wellness. Next:It’s time!! A few details about my book, Reading People, coming this September! I am a self-professed bookworm and English teacher, but I have a question. A few years ago I moved to teach at an alternative school. Most of the high school students are reluctant readers. I’ve always been good at finding high interest, readable books, but these kids are a tough audience. They’re phone addicted too. Please give me any book recommendation you have, especially for my world lit class. I love your blog. I, too, teach high school English at an alternative/non-traditional high school/ early college (we have a year of unclear identity). My students all hate reading, but I have found a few things that at least were interesting. For world lit, I always teach Night by Elie Wiesel. My students really liked the memoir genre, and they were so upset when his father passed away. I have also taught House on Mango Street by Sandra Cisernos because the chapters and super short. Have you tried letting your students pick books that might appeal to them? I have found that helps a lot for resistant readers. You should apply to be on the podcast! That would be a really interesting listen! I had no idea that there was an application for that. I just listen usually on my way to school. Since you like books about books, I’m going to suggest “84, Charing Cross Road” by Helene Hanff. It’s a shorter book of letters between Helene in New York & a bookstore in London starting in the late 1940s, and as far as I recall it really happened. You will laugh. You might cry. And for your next birthday, you might just want to walk past 84, Charing Cross Road. Thank you Sarah. I have taught Night and the kids do love it. I have taught excerpts from House on Mango Street, but never the entire book, so that’s a great idea. Thanks for taking the time. Just a thought- there is a free app called Serial Reader that has a ton of classics. You could pick a book that is available there and mention to your students that they can read it in print or on their phones/computers. Thanks Magan. I will check that out. If they are tech addicted then audio books might well bridge the gap. Also I hear graphic novels have a growing audience as well. I’m loving listening to this episode. I often visit bookstores when traveling, but never in the intentional way that Donna is. When she mentioned a bookstore in San Diego I was happy to hear her mention the Upstart Crow. I was there many years ago. It’s charming. Thanks Julie! I honestly never thought about it either before Anne started writing about bookstores she visited on trips. I think local bookstores are such great representatives of the towns they’re in and can’t wait for my upcoming trip to check a bunch of them out. I’m making note of the Upstart Crow since I’ll be in San Diego at the end of August. Love visiting bookstores when I travel. What an enjoyable episode. Completely agree that Donna should give Persuasion a try as that is my second favorite Austen book right after Emma. Other classic recommendations that I have are: A Tale of Two Cities, The Count of Monte Cristo, The Scarlet Pimpernel (just a flat out fun classic), and The Jungle Books. Oh yes and of course Little Women. What a great way to celebrate your birthday! My big 4-0 is coming up and I really like your idea! My favorite episode so far! My suggestions for Donna are Pillars of the Earth and it’s sequel, World Without End. They don’t meet the 50 Year Rule or even the 30 year mark, however they provide what she’s looking for: complex family dynamics, well developed characters and an interesting story that takes you back in time. I especially enjoyed your discussion of classic literature as I’ve made a commitment to read more classics/challenging literature and fewer contemporary novels. Again, great episode! Yes, loved this episode! Maybe Anne could do a “Classics Week” for a themed series. Thanks for the lovely comments and book suggestions! I was so curious what Anne would pick for Classics and figured other people would want to know as well. I devoured Pillars of the Earth and its sequel so that could definitely go on the ‘want to re-read list’. I’ve also been wanting to read Ken Follett’s other series, The Century Trilogy, so I might do that instead. I love the idea of a classics week. I was able to get my previous book group to read one classic selection a year. Wow, one right? But at least we could agree on one. This is my favorite episode! One of my new year’s “resolutions” is to buy a book each month. I’m also a reluctant book purchaser, so I think long and hard about books I really love and would be willing to read again. Also, I absolutely adore Brideshead Revisited – I thought Anne’s description was perfect – and I also did Middlemarch on audio, which I highly recommend. So many great picks here! I’m particularly intrigued by The Painted Veil since I loved that movie and I can vaguely remember enjoying The Awakening in school so it might be time to revisit that one. Thanks for all of the recommendations and I’m always happy to find another fan of Brideshead Revisited! I love Donna’s clever birthday celebration idea – it sure helps curb the ‘getting older’ feeling when you look at it as getting more books instead! So glad to hear that you are going to visit the Upstart Crow as it is closing in 2018 when Seaport Village’s lease is up. We visited regularly when we were San Diegans and continue to visit each time we return to the beach! Don’t forget the small bookstore on Coronado Island, Bay Books. It’s where I bought my beautifully bound The Wizard of Oz after snapping photos in front of The Oz House and visiting the Hotel Del! I love linking books and vacations; they’re my perfect souvenir! Anne, I’ve always been tempted by A Room with a View, but never more so than today during the podcast! Your description was delicious! Thank you! Gaye I am crushed to hear that about The Upstart Crow, hopefully they’ll be moving somewhere else-I will have to ask when I’m there. I totally agree about Anne’s take on A Room with a View-it made me want to watch the movie again too. Donna what a fabulous birthday celebration idea. Happy 50th. I love to visit bookstores when I travel, so much so that my readerly daughter always asks, “when are we going to the bookstore?” To the wonderful selections already mentioned I might add a couple of modern classics with some color – Beloved, Love in the Time of Cholera and The Good Earth. I have two bookstore recommendations. Bookshop Santa Cruz is located in the town of the same name. The other is Kepler’s Books in Menlo Park on the San Francisco Peninsula. I grew up about ten miles north of Kepler’s and before I could drive, I would pester my mother to drive me to Kepler’s; once I learned to drive, it was a destination of choice. Both of these stores are committed to strengthening their communities. Check out their websites and if you can fit them in, you won’t be disappointed. Bon voyage! Laurie, those are two great bookstore recommendations that are actually both on my list to visit on the Bookstore Roadtrip! I have been going to Kepler’s for years (can you believe they opened in 1955?) and have so many great memories associated with it. Bookshop Santa Cruz is also iconic (opened in 1966), I haven’t been there as often but am looking forward to stopping there this summer. So good to hear that both are on your list. Kepler’s opened when I was 11. I can remember going to the former funky location and having a purchase rung up by the founder who wore an “I’m a nervous Nellie” button. My son and his family live in Boulder Creek. When I go out to visit (I now live in Indiana! ), I always go to Bookshop Santa Cruz, a great store in a great building. P.S. I’l be 73 on Sunday and following your lead, wonder if I could read 73 books in the next year. Bookshop Santa Cruz is great! I visited back in October and didn’t get to spend nearly long enough! I loved this episode so much. I’ve not read Brideshead Revisited and you’ve both inspired me. It’s not going to surprise Anne that I’m going to really implore Donna to try “The Count of Monte Cristo”. It’s a classic just like she describes, it’s so good you can’t believe it’s a classic! Happy birthday trip – I hope it’s everything you want it to be. I’ll be following along on your newsletter. Thanks for the birthday trip good wishes, I really appreciate it. I’ve always been intimidated by the length of The Count of Monte Cristo but with all of the recommendations here I am convinced it must be in my 50th collection! I love the classics, but I have not spent as much time reading them since so many good contemporary books have been taking my time. My suggestions would be: The Woman in White by Wilkie Collins, East of Eden by John Steinbeck, Northanger Abbey by Jane Austen(loved this one more than the big 4 except maybe Pride and Prejudice), and Villette by Charlotte Bronte. Sarah-I totally agree! My ‘to be read’ list of contemporary books is so long I feel like I haven’t gone back to the classics enough which is why I was excited to get Anne’s recommendations. Thank you for your picks and that’s good to know about Northanger Abbey-I will be checking that one out for sure (why have I limited my Austen reading???). I read Middlemarch last year and really really enjoyed it! And it’s funny because the whole time you were both going over her “3 books she loves” I kept thinking, “She should recommend Middlemarch. But maybe she won’t because it’s too long? Oh I hope she recommends Middlemarch.” And you did!! LOVED this episode and was so excited about your 50-trip! What an AMAZING idea! I hope you document it so we readers can follow along! I’m completely swept up by this idea. What a wonderful birthday gift to yourself. Amazing. OK. One more. One of my all-time favorites and favorite rereads — The Count of Monte Cristo. Un-put-down-able. Thanks Katrina! I was so nervous to do the podcast and all of these comments today are really warming my heart-I love being part of this book community 🙂 Thanks for your recommendations most of which I haven’t read. I’m surprised by how many of you have read The Count of Monte Cristo-impressive! I will definitely be documenting the trip on my website so hopefully you’ll follow me there-I’ll have photos, what books I got, which bookstores I stopped at and eventually book reviews of ‘the 50’. So I just found your site and LOVE the name! And it looks like you are a fellow vegan! How exciting! I signed up on your email list and look forward to following your adventures. You might get a kick out of the website https://cadryskitchen.com/ I follow her and ultimately we met up in NYC and she and her husband are two of the coolest folks you’ll ever meet. Enjoy your trip and I look forward to hearing what you purchase when you ultimately take it! Great episode! I used to go to the Upstart Crow at the Pruneyard in Campbell, CA! I’m going to be checking out some bookstores in other cities now! Also, how can I find your blog? Yes-I remember that Upstart Crow at the Pruneyard! 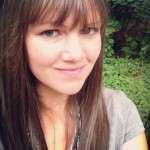 You can follow me at iamyourrabbit.com. The roadtrip will be later this summer and I’m excited to hear it’s inspiring others to check out bookstores when they travel. Donna, if you go to Santa Cruz, you should go to Bbokshop Santa Cruz. Big, old funky bookstore that has been there for 50 years, I think. Have a fun trip!! Yes-the Bookshop Santa Cruz is definitely on my list! Yeah! I am so jealous!? 2) definitely start reading again! One book a month is my goal. I was intrigued by what I heard about Middlemarch! Thank you Donna for sharing & inspiring ? Hi Sowmya-I love this comment! First of all I couldn’t agree more about listening to podcasts while stuck in traffic and second-if this inspires you to pick up reading again that is incredible. Happy Reading! Totally loved this episode. I feel that I always ‘should’ read the classics, but never know where to start. One issue I have, is that if I know the story (or saw the movie), I have a hard time reading the book. I’ve never read P&P or Emma for this reason. I did however just find Northanger Abbey on audible channels, and it was an amazing read… like laugh out loud funny. I’m still insecure enough and thought maybe I wasn’t getting it, but wikipedia confirmed that I wasn’t confused. That definitely makes me want to add Northanger Abbey to my list-‘laugh out loud funny’ is exactly how I think of Jane Austen. I was surprised by Anne’s pick of Going After Cacciato and am intrigued to read it as well. Yes-2 more years for you to mentally prepare to take on Middlemarch-LOL. I loved this podcast because it focused on the classics..and not just the usual classics. My TBR just grew once again thanks to Anne and Donna! I agree with another person who commented that Anne could incorporate more of the classics or have a podcast periodically that focuses on classic literature (I tire of contemporary literature faster than classics). I have A LOT of classics on my shelves because our children were taught (K-12) using a classical approach. I want to read many of these books, but I am always wondering were to begin….I need some literary matchmaking myself, I think. Donna: I am a spreadsheet queen as well and love a “kindred spirit”. Press on! I would recommend Anna Karenina (audible with Maggie Gyllenhaal)…I am listening now and she and the book are incredible! (Anne recommendation) I never wanted to pick up a long book like this one, but the audio makes it a wonderful read. Also recommend anything by Wendall Berry, or Georgette Heyer, Northanger Abbey, for sure, My Cousin Rachel (D duMaurier), and here’s a twist..try some Children’s classic lit like; Mara, Daughter of the Nile, Tuck Everlasting, Because of Winn Dixie. Happy reading and happy travels to you! Yay-a kindred spreadsheet spirit-how wonderful! Thank you for all of the wonderful recommendations. I really like the idea of reading more children’s classic lit-I feel like there are often great life lessons mixed in with fun adventure in those types of picks. A great overlooked Bronte is The Tenant of Wildfell Hall. Like the other recommendations, it’s about a woman flouting the conventions of her time (1840s) in order to escape a bad marriage. And of course misunderstandings and romance ensue. I’m intrigued by your confession! I feel like I often read the book before seeing a tv/movie adaptation (Brideshead Revisited was an exception where I saw the tv mini-series first) and like the idea of it motivating me to read the book afterwards. I’ve never heard of that Bronte book, I’m adding it to my ever-growing list (I say that happily!). I just finished listening to the episode and loved it. Happy Birthday Donna! Your trip sounds fantastic. You mentioned loving “The Poisonwood Bible,” and I wondered if you had read “Prodigal Summer,” also by Barbara Kingsolver? “Animal, Vegetable, Miracle” is very good but my favorite book of hers is “Prodigal Summer.” It also takes place in the Appalachian Mountains and tells the story of a woman who lives a lonely life as a forest ranger. She studies the carnivores of the ecosystem around her and travels to her hometown (very like where Kingsolver and her family live in A,V,M) infrequently. A parallel story develops between a farmer and his neighbor in this hometown. Erik Larson is such a skilled author! I have only read “In the Garden of Beasts” and “Dead Wake.” Of those, “Dead Wake” was a page turner and I learned a lot about U-boats, Woodrow Wilson, and WW1. It’s written like a suspense novel though it is nonfiction. Thanks Katherine! I have read Prodigal Summer and your description makes me want to pick it up again-now I really don’t know which Kingsolver book to get for this 50th collection. Bookworm problems as I said on the podcast 🙂 I love Erik Larson books-just like you said, they’re non-fiction but read like fiction and are such page-turners. I would also recommend The Devil in the White City: A Saga of Magic and Murder at the Fair that Changed America (doesn’t that title just make you want to dig in to that book?). i have so many comments – this is two in a row that I have listened to that mentioned Brideshead so I think I’m going to have to pick that one up. So.. Upstart Crow… is sooo touristy! They seem to sell more ‘stuff’ than books anymore, but i have to confess it is a pleasure to get a yummy pastry and coffee with a stack of books while you decide which one(s) to buy! But, the first books you mentioned were Agatha Christie and Nancy Drew so I’m guessing you like mysteries? Can i suggest a side trip when you are leaving San Diego and heading to LA, make a detour to Mysterious Galaxy bookstore. Their tagline is something like Murder, Martians, Mayhem, and Magic and it is the best! The employees are passionate about their favorite genre and I never leave there without a ton of books. They had a more northern store in Redondo Beach that closed (sad me since that’s closer to my home) but it would totally be worth your time as it sounds right up your alley!! Next year is my 50th and I’m thinking this is something that will really take off. That’s interesting about Upstart Crow (although you had me at ‘pastry’). I really like the sound of the Mysterious Galaxy bookstore, that one is going on the list of stops! What a great episode! It was so nice to meet you Donna. 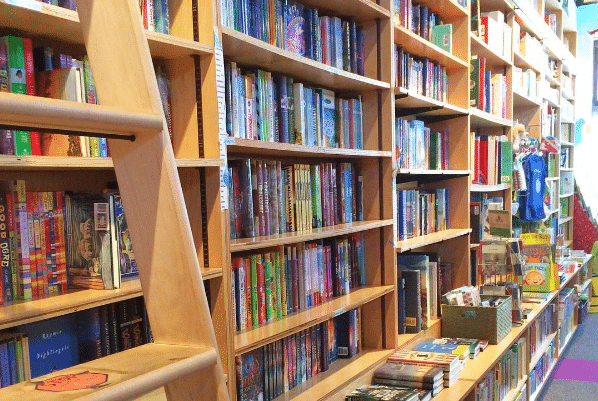 I live in San Diego and could also recommend Warwick’s books, not as quaint as the Upstart Crow, but it’s located in beautiful La Jolla, which is worth a visit. I am in a classics book club and this month we are reading Brideshead Revisited!! I am so pleased that you and Anne both love it. Some classics I love and think you might enjoy are The Count of Monte Cristo, Tess of the D’Ubervilles, Jubilee Trail, Gone with the Wind, and Frankenstein. I also love the idea of reading children’s classics like A Wrinkle in Time, The Secret Garden, Tuck Everlasting, The Outsiders. I LOVE your Birthday Bookstore road trip and am seriously considering doing this for my 40th in a few years! Thanks for the great recommendations Brooke! I hadn’t heard of Jubilee Trail before-sounds like it could be considered an 1800s version of a roadtrip and I enjoy reading about early California days. Nothing makes me happier than the thought that my idea could inspire others to do something similar, I hope that you are able to to a bookstore roadtrip for your 40th! Reading classics is my favourite! I will frequently re-read through my top classic books and continue to discover new layers with each reading. I can easily say that my hands down #1 pick is North and South by Elizabeth Gaskell. I highly recommend it for classic book lovers. I loved this discussion of classics! House of Mirth is one of my all-time favorites. I’d also recommend Rebecca by Daphne DuMaurier. I appreciate the focus on classics in this episode, and so I want to recommend two lesser known ones, and one very familiar one:-) You mentioned liking Nancy Drew and Agatha Christie, so I think you would enjoy reading Wilkie Collins. Someone above mentioned The Woman in White, which is probably his most famous novel, but I love Moonstone. It is considered the first English detective novel, and it is truly a treat to read. To accompany that, I think you should read some Sherlock Holmes as well. They are short stories and novellas that would easily be ‘gap fillers’ between other books! My last, lesser known recommendation is Cold Comfort Farm by Stella Gibbons. It’s a novel that gently pokes fun of moody, melodramatic novels, and it’s a very quick read. Thanks for inspiring all of us listeners to put more classics into our lives, and explore more bookstores!! Loved this episode! I’d recommend reading (or finding on audio) Wyllard’s Weird and Lady Audley’s Secret. Those are classics with a bit of mystery intertwined! Northanger Abbey is a favourite of mine because it is is so fun and I’m a sucker for stories with big houses and hidden passageways. I recently finished Madame Board which I loved. It was much more accessible than I expected, and very witty in parts when I was anticipating something melodramatic and depressing. It’s got a great cast of characters too. Thanks for another good podcast. Even tho classics aren’t my favorite I still enjoyed it. I had to chuckle Donna by your hate pick… cause in High School I wasn’t much of a reader so I picked “Old Man in the Sea” solely because it was short!! AND I ALSO HATED IT! lol not even sure I finished it! But luckily in my 30-40’s I have dove into books hook line and sinker. ENJOY your 50th Birthday EPIC book trip!! I’m late to the party, but I loved this episode! Waugh and Austen are two of my favorite authors, and reading them lead me to Nancy Mitford. I count her in the classics, and Love in a Cold Climate or the Pursuit of Love are great. A commentary on English society like Austen, funny, and she was friends with Evelyn Waugh. Hi Donna! I love your birthday bookstore road trip idea!! I have a significant birthday coming up next year, and I have decided that I am going to host a book party and ask each of my guests to bring me a copy of their favorite book. I can’t wait to see what those that mean most to me choose!!! Hi Amy-a book party is a fantastic idea! It’s always interesting to see what people’s favorite book is-I think it tells you a lot about the person. I’ve read 4 of Jane Austen’s main 6 novels (P&P, S&S, MP, Persuasion). I’ve been meaning to read Emma so I started it this week. The big problem I am having is that I keep comparing it to Clueless. I’m afraid watching and loving Clueless so many times is ruining my first read of Emma. Any thoughts? That’s funny Jacelyn. Hopefully if you read on they’ll just complement each other! You might want to try the movie adaptation of Emma with Gwyneth Paltrow which I thought was fun too. Clueless completely ruined my reading of Emma! HAHA- so glad I wasn’t the only one who had this problem. I did not enjoy Emma at all- took me many, many years to pick another Austen, but so glad I did (P&P). Update: It took about 50 pages to get into the book before I could stop comparing it to Clueless. Then, I loved it! It was very funny. Thanks for the motivation to read Emma! I know I am commenting late, but are you planning on stopping at The Last Bookstore in downtown Los Angeles? It is an epic bookstore in an amazing building with so many books – both new and used are mixed into the stacks. I have had a couple fun day trips to this store with my book loving teen. Yes-The Last Bookstore is on my list! I’ve never been there but your description sounds fantastic. Since it is on your list, I will mention one more thing: Be warned, they have no bathroom. You can hunt around the neighborhood for one but it does make things tricky. Donna, I just loved this episode! I am a classics LOVER and loved hearing you guys chat about it. Have you read Wives and Daughters by Elizabeth Gaskell? I discovered it last year, and I think it’s perfect for Jane Austen fans. Domestic/relationship drama, funny/quirky characters, and strong heroines. I wish you all the best with your epic road trip!! Thanks Tricia! I haven’t heard of Elizabeth Gaskell but the description sounds like it’s right up my alley, thanks for the recommendation. Came across this fun list today. I immediately thought of this podcast which i enjoyed so much!!! Thanks Shara-that is an amazing list of bookstores by state! Happy Birthday in advance, Donna!!! 🙂 Hope you have a great 50th birthday celebration and road trip! Thanks Cori, only a few more weeks before the road trip so I’m getting excited! Several recommended Dumas’ Count of Monte Cristo but I hadn’t thought about the other two you mentioned. Lots of good stuff on your list and so many I haven’t read, thanks for all of the recommendations! 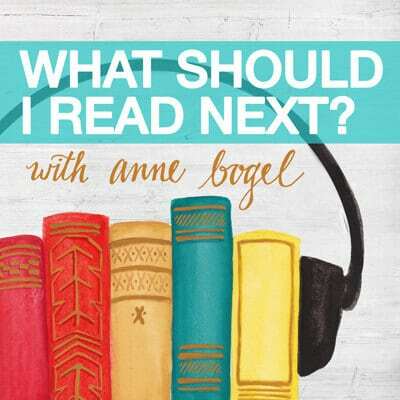 This is the first of your podcasts that I have read almost everything that you have Ann, with the exception of Going After Cacciato, which will be what I read next with my copy of How to Read Literature Like a Professor by my side. This is also my first comment, which I started writing within the first five minutes of the podcast, because I was so excited to talk about these authors. I’ve read all of Barbara Kingsolver’s works and while I love the Poisonwood Bible, I do think she has a better selection for your shelf. I am hard pressed to decide what is her best work of fiction, but when you mentioned Animal, Vegetable, Miracle and that you wanted something you could read over and over, I immediately new what you needed to add to your list. While Animal, Vegetable, Miracle is very good, it is a memoir specific to the project she set for herself that year. Unless you are interested in following in her footsteps, it’s not likely you will read it again. Her essays though are rich and rewarding and gain new meaning with each reading based on what kernel you need to glean from them at the time. Both collections are excellent, but I especially like High Tude in Tucson. I enjoyed your Jane Austen discussion. Like you Ann, I have read all her works. My second favorite happens to be Pride and Prejudice with Persuasion a close third. I also like Mansfield Park, so I have five that I reread. I laughed when you recommend The House of Mirth. I jotted it down as soon as Emma was mentioned. I wholeheartedly second this recommendation. Written right around a hundred years after and on a different continent than Emma, it offers an interesting contrast. I know that you were only asking for classics on this episode, but as soon as I heard your interest in epic novels, with complicated families, that include layers of class, social roles and religion, I had to know if you have any Lousie Erdrich on your list. If by chance you haven’t, I have this to say… If you like Barbara Kingsolver you will love Erdrich. Not only does she address the complexities of relationships, but her characters weave in and out of her books. A main character from one book, will walk through another from a different point in their history, providing an additional layer of insight into their character and motivations. The number of excellent works is deep, but one of her crowning achievements that is also definite reread is The Last Report on the Miracle at Little No Horse. Finally, while I know you were more interested in stories that addressed how war impacted families, I wanted to add a classic war story recommendation that addressed the complex impact of the war experience on the soldier as my outlier. There is a good chance you have read this too, but I decided to include it since it was such an important novel of the last century. The Naked and the Dead by Norman Mailor is about the Pacific Campaign during WWII. It is intense and doesn’t shy away from the brutality of war and also tackles all the significant questions of how and why we wage war, as well as the role and experience of the solder. It is of course an excellent companion to All Quiet on the Western Front by Erich Maria Remarque, who wrote about the effect of war on German soldiers after WWI. Wow-what a great set of recommendations-thank you Caryn! I haven’t read most of these (except for All Quiet on the Western Front) so I have noted them down for my trip. That’s really helpful on Kingsolver and I haven’t read her essays but could see that being more re-readable. I didn’t have Louise Erdich on my list but I do now 🙂 Thanks again.